Bit of a shower just blew in. Nothing too serious. 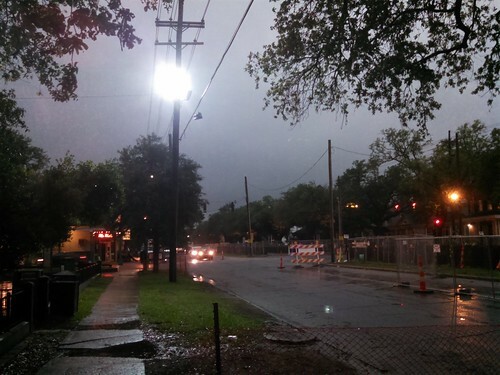 Here's Napoleon Avenue at about 10:30 this morning looking like midnight. Phone camera corrected for the light quite a bit. It was actually much darker than this. Anyway, Hurricane Seasons doesn't even come along for another month. Hang in there. 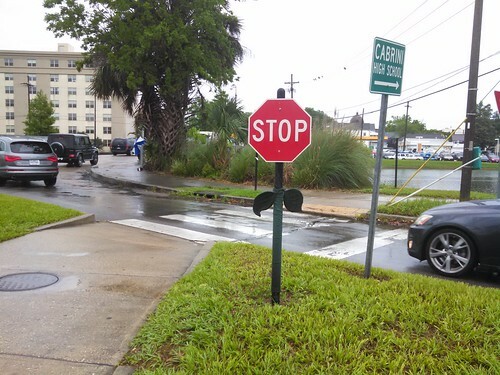 As the saying goes, April showers bring stop signs.